Here is a collection of WhatsApp Puzzles which went viral. Solve it if you dare and share it with friends. Check for the answers below each questions. Can you fill these boxes correctly to solve the lock code puzzle ? Can you arrange DOHLAROAC to form a meaningful word? 1) Aldo Rocha - It is the name of a Mexican footballer. 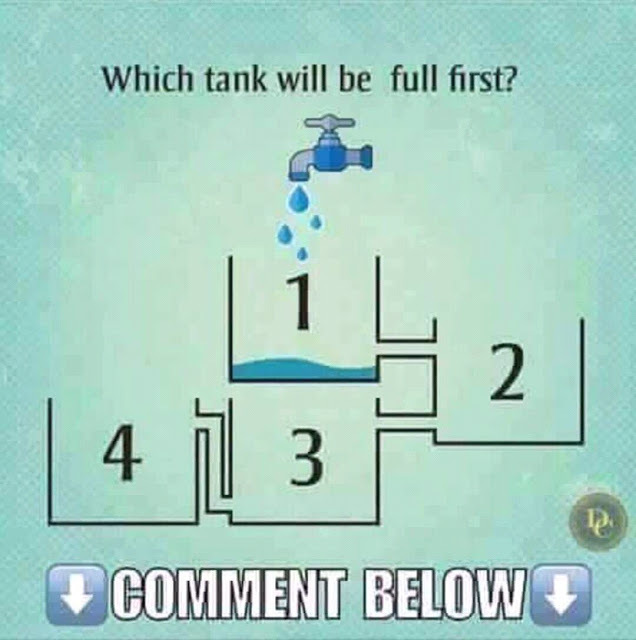 3) Which Tank Will Be Full First? The tank 3 will fill first, as the connecting pipe to 4 is upwards. Near Mumbai: A man was found murdred on 9-11-2016 wednesday afternon at 12.35pm in his house...... His wife called police at 3:23pm..
Neighbours: We went 4 the marriage..
Driver: I went to ATM withdraw cash..
Cook: I went to Wine shop to buy Wine..
Watch Man: I went to My relative's Marriage..
"Reply if u r brilliant with correct reason"
ABP Majha. It is a Marathi news website. 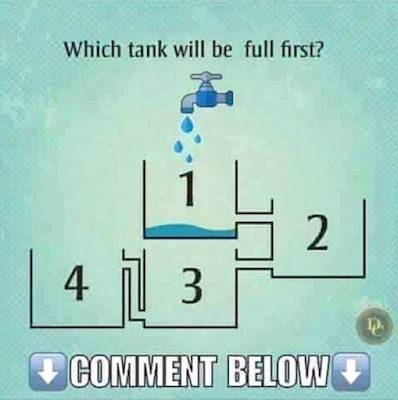 Get more WhatsApp Viral Puzzles !